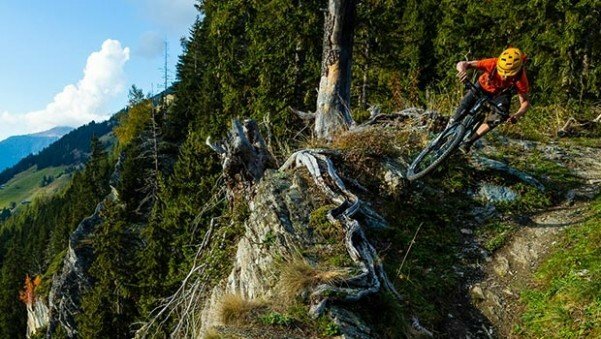 For mountain bikers who dream of endless single track in the world’s most beautiful setting, a mountain bike trip to Switzerland is definitely in order in this lifetime. From Teton Gravity Research comes a look at a recent trip to Verbier Switzerland featuring American riders Brice Shirbach and pro skier Carston Oliver. The pair rides open alpine single-track through varied terrain showing why Switzerland is mountain biking heaven. Teton Gravity Research has partnered with Swiss International Air Lines, Switzerland Tourism and BMC Switzerland to offer a free mountain bike trip to the Swiss Alps.